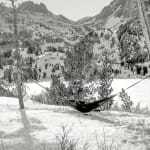 The natural oscillating motion caused by a hammock is scientifically one of the best ways to sleep and probably one of the most comfortable ways to sleep while camping. But are hammocks really effective for camping? Let’s try to find out. Think of your bulky tent and a compact hammock. The hammock comes out on top. Hammocks are definitely lighter than tents. The reason is obvious – there’s a lot less equipment to carry. While pitching a tent, you need to assemble the pole, think about the structure of the tent and how the frame needs to be, then setting the cover onto the frame, and it goes on and on. For a hammock, setup is a breeze. They require tree straps for proper and environmentally friendly suspension. But other than that it is a hassle-free setup. 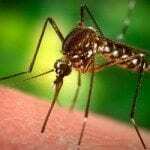 But what you might need if you are planning to stay in a camping hammock while camping is a bug net and the rain fly. The best thing about hammocks is that if you want something lightweight, you can match and mix equipment. There are modular components and you can actually assemble your own hammock based on the weather and conditions you expect to encounter. Choosing to assemble your own hammock kit can be fun. 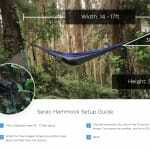 You’ll need to know what kind of hammocks you want and how to choose the right accessories. At the end of long day of trekking, the best way to relax is in the comfort of a swaying hammock under the night sky. A lot of manufacturing companies are emphasizing the fact that hammocks can be made from eco-friendly material like cotton. Out with Mother Nature, the best way is the natural way. 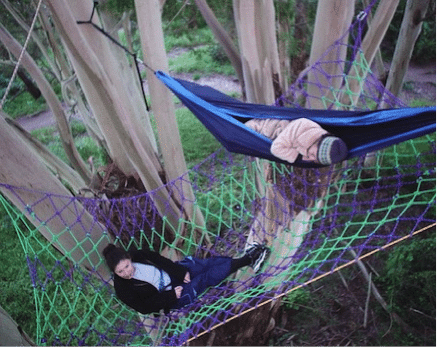 Some sleeping hammocks are made from dyed cotton yarn. This is known as the Brazilian hammock and they are usually preferred for sleeping. In fact, they are so tightly woven, that there is hardly any chance to fall off. The best thing about these hammocks is you can easily roll them up and carry it like a sling. These are easy to re-pack and can be easily carried for camping. In fact, some of the lightweight hammocks can be carried by your children as well. Children will fall in love with camping if they get their own hammock. But be safe when you take them on adventures! If you believe in protecting nature, protect it from any kind of damage and bring a pair of tree hugger straps. These are extremely eco-friendly and leave no mark on trees. But when you think of camping, preparation is a must, especially when you are traveling with family and kids. For instance, if you have a chosen campsite, then learn the regulations beforehand. Can you actually carry your gear or do you need to take it from the authorities? Be it hammocks or tents, you should always prepare for unpredictable weather hazards. Does your hammock have a proper tarp cover or rain fly? Is it enough to protect you during rains? Also, think of your children. Are they prepared to try the hammock experience? Most children are delighted by the swing experience. But some may be less inclined. When you are traveling in a group, you should be considerate about other people’s opinions. Camping is fun, but spoiling the fun of others is not commendable. If you plan to have a peaceful bliss among the verdant, then you should be considerate about other visitors as well. Check out some of the most stylish eco-friendly hammocks which will rock your world. 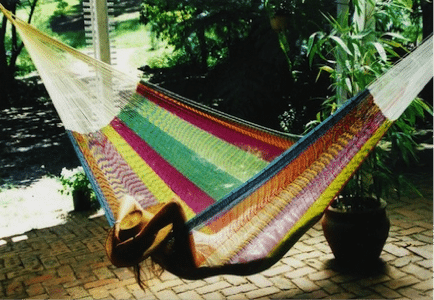 Check out the most beautiful hand-loomed hammock based on Yucatan tradition. Now why is it so special? Hammocks in Yucatan tradition have been in vogue for centuries. In fact infusion of various traditions and ideas has led to the growth of some of the finest hammocks. They are made from the cotton strands and are continued from a single yarn. In fact the hammocks are designed for utmost comfort where you can lay width-ways across the hammock. 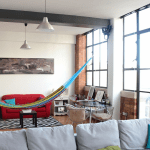 In fact young people now-a-days are incorporating some stylish ideas to make these hammocks. Some of them are so big, that 5 people can lie side by side without difficulty! Hanging hugs are compact, comfortable and light. In fact they are so adjustable, that you can actually sleep on a comfortable bed on mountains and difficult terrain. Even if you do not find a flat spot, there is no problem at all. If you want, you can equip the tree house hammock with under quilts, and hammocks on the side. Visitors can come and stay in these hammocks! Take your pick! Hammocks are eco-friendly – some are so stylish the designs will have you collecting more and more!